This piece of work is ideal for a creative hub with good research skills or a researcher/academic institution with a good knowledge of the creative hub ecosystem. 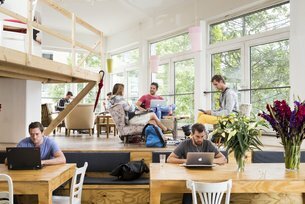 What do we mean by creative hubs? We have been working with over 600 creative hubs across the globe since 2014 and believe that they are an integral part of the creative economy. We would now like to map creative hubs in the UK, starting with Wales. This piece of research will provide the British Council and Arts Council of Wales with a better understanding of the geographical spread and type of hubs present in the region, in order for us to better understand the landscape. This research will also enable both organisations to understand how to link creative hubs to opportunities, both nationally and internationally, while better representing and advocating their needs on a strategic level. For more information on the call and how to apply, please visit this link.